Innovation. Education. Industry. These are powerful angles – and what the Research Triangle Park is known for. 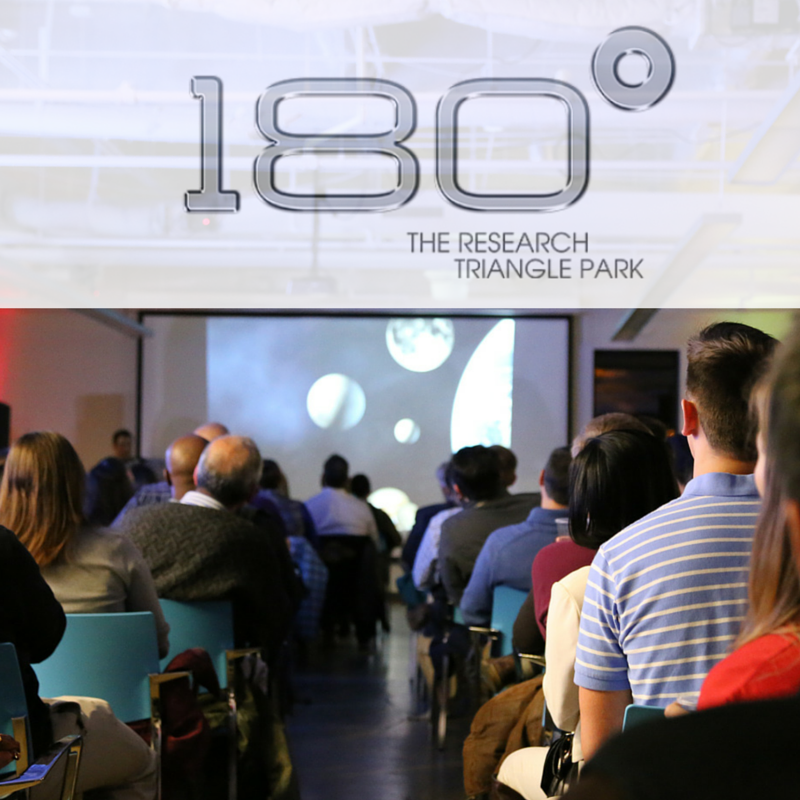 At “RTP 180°,” speakers from our three founding universities, local companies and the community at-large are called upon to take the stage to speak passionately about what matters to them. The show kicks off at 6pm, but our doors are open beforehand for anyone that would like to come early. The hashtag for this event is #RTP180 and we always livestream from our YouTube channel over at www.youtube.com/TheRTPNC. Afterwards, professionally edited video segments of our speakers will be posted, in case you missed the livestream!